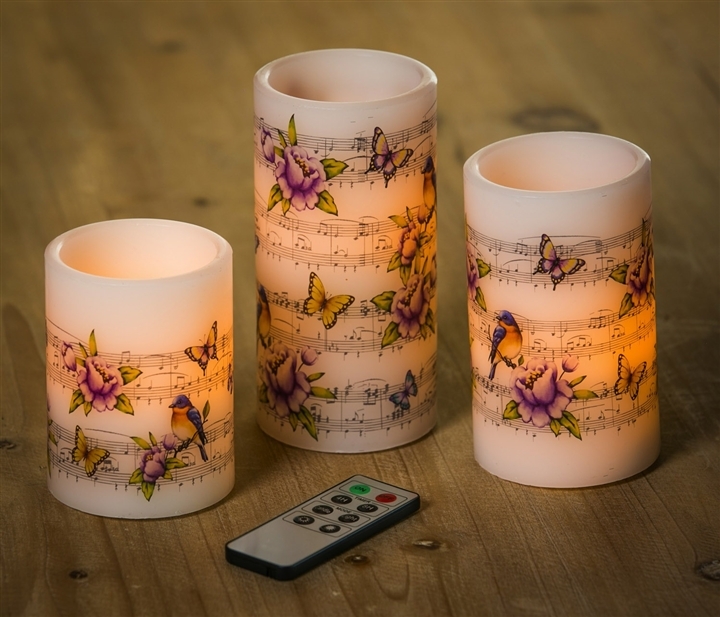 Create ambiance wherever you wish, indoors or out, with this beautiful set of 3 LED battery operated remote controlled wax pillar flameless candles. 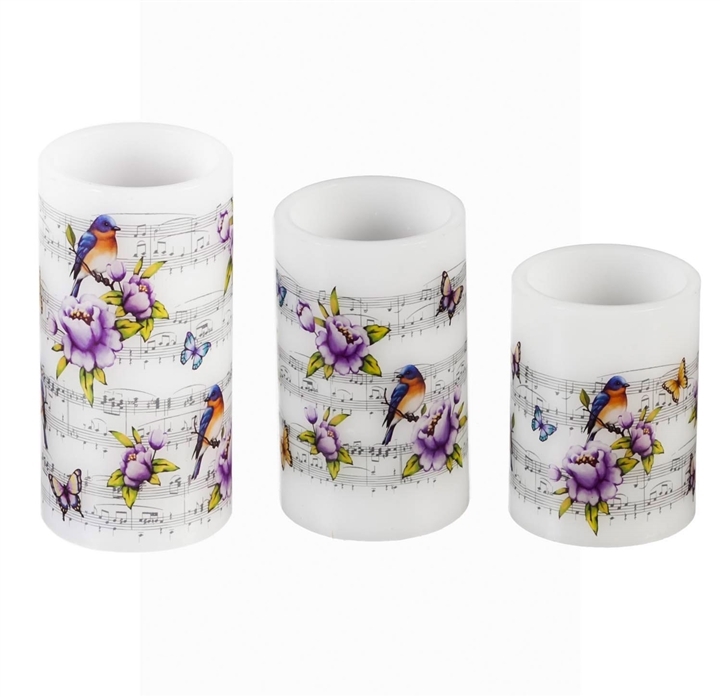 Butterflies, birds and flowers adorn an elegant music scale upon wax pillar candles with remote. Remote selections include on/off switch, 4 and 8 hour timer, candle flicker mode, steady light mode, dim and bright settings. Candle Sizes 3" x 3" x 4", 3" x 3" x 5", 3" x 3" x 6"